Ice seals thought to be most affected by the disappearance of arctic sea ice seem to be doing well, according to data presented at the Alaska Marine Science Symposium last week. 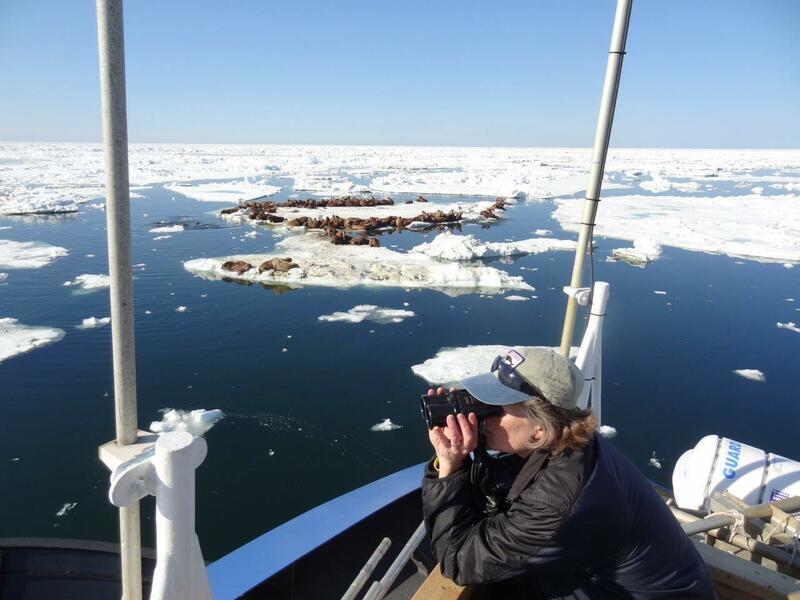 KYUK looks at evidence showing that some marine mammals are adjusting. Ice seals are not the only marine mammals adjusting to changes in the ice. Pacific walruses are doing so as well. They also used to raise their calves on sea ice, but recently started coming to Alaska’s shores to haul out in record numbers. New haul outs include Point Lay on the Chukchi coast, which historically didn’t have many walruses. Now there are thousands there most summers, and initial predictions were that that would be bad news for those animals. At first it was not pretty. Walruses spook easily, and stampeded over everything in their path to get to the safety of the sea. They plow right over small calves, and the first few years there were lots of dead calves on the beach.